A carbon steel crepe pan changed Atlanta chef Mary Moore’s life. Mary opened her first Cook’s Warehouse in 1995. Today, as founder and CEO, she has three stores in Atlanta, Ga., in Midtown, Brookhaven and Decatur. She also has an online store, mail order catalogue and cooking school with more than 600 classes taught yearly in four kitchens on her premises. Mary’s phenomenal success earned her recognition in 2010 as a Top 50 Retailer from Gourmet Retailer Magazine. 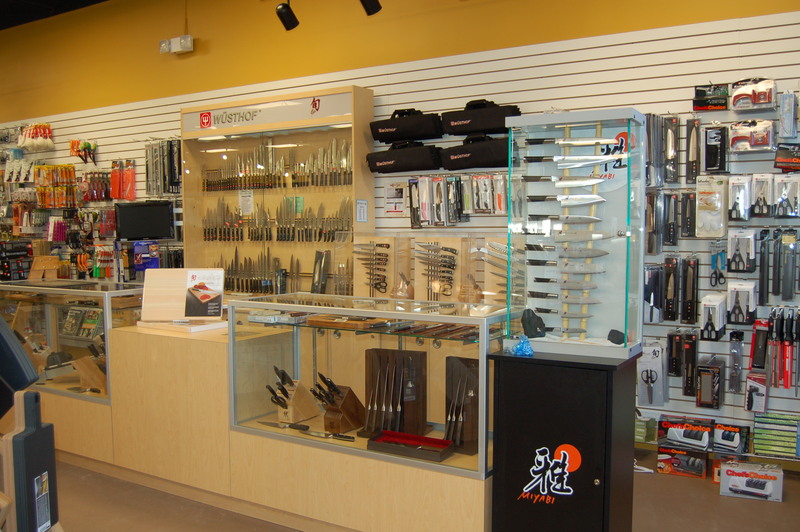 Good knives – a chef’s knife, bread knife and paring knife are essential, plus a sharpening steel to sharpen knives or a local resource to do the sharpening for you. The right cutting board – wood; pressed wood like Epicurian, which is dishwasher safe; or one made of polyethylene are good choices. Avoid plastic, glass or other hard surfaces; these boards will dull your knife with every stroke. Mixing bowls – preferably glass, stainless steel or ceramic, a material that is non-reactive and non-absorbing. Plastic holds odors and aluminum will react to acids and can change the taste of the food. Good whisks – a balloon whisk for aerating egg whites, whipped cream and other light ingredients and a heavier whisk for thicker batters. Tongs, spoons and spatulas – for spatulas, look for high-heat-resistant silicone. You need one flat spatula and a spoonula – spatula-spoon combination. Slotted spoon, solid spoon, ladle, turner, flexible fish turner and a perforated spatula for steaks and burgers. Meat thermometer – ideally one with a probe that is inserted in the meat, with a cord that goes out of the oven to a digital console to read the temperature (no need to open the oven to take a reading, which lets heat escape). Or a good instant reader thermometer. What’s all the rage in cookware today? 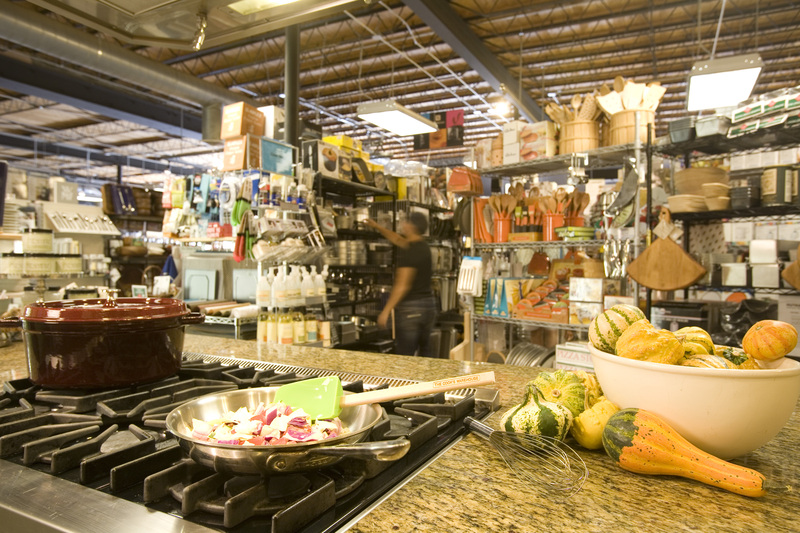 At the Cook’s Warehouse, hot sellers are the Sous Vide Supreme for sous vide cooking (low heat, water bath cooking to preserve the succulence in foods) and pressure cookers. Canners or bigger stock pots for home canning are also selling well. “People are canning like crazy,” Mary noted. Other popular items are Le Creuset and Staub enameled cast iron cookware. Tools to aerate wine are hot. The two biggest are Vinturi and VinOair. “People understand that if you aerate the wine, it will taste better – you can enjoy a less expensive bottle of wine,” Mary explained. Cook’s Warehouse’s number one selling item last year was Soda Stream, designed to let you make your own carbonated beverages at home. “It’s very green because you’re not buying bottles and cans – you use reusable liters. It’s less expensive (20 cents a liter), and more environmentally friendly – you can recycle the CO2 cartridges. You can create your own artisan sodas – like basil lemon grass sodas,” Mary said. Follow Mary on Twitter and Facebook. And try Mary’s easy appetizer recipes below. Plump apricots in brandy at least 4 hours, overnight is best. Heat olive oil in sauté pan, add onion and sauté until translucent. Add red bell pepper, apricots and pecans; cook until peppers are tender. Add white wine and cook another 2 minutes, remove from heat and let cool. When cool, add ¾ of the basil. Gently toss until well mixed. Cut brie in half lengthwise and stuff with most of filling, reserving some for garnish. Place brie on sheet pan and heat at 350°F for 5 minutes or until soft, remove from oven and garnish with remaining basil. Serve immediately with pita crisps, crusty bread, crackers or toast points. Cut each pita bread into 8 wedges. Combine remaining ingredients. Spread pita out on a baking sheet; baste with herb mixture. Bake at 350°F for 5 to 10 minutes or until lightly browned and crispy.